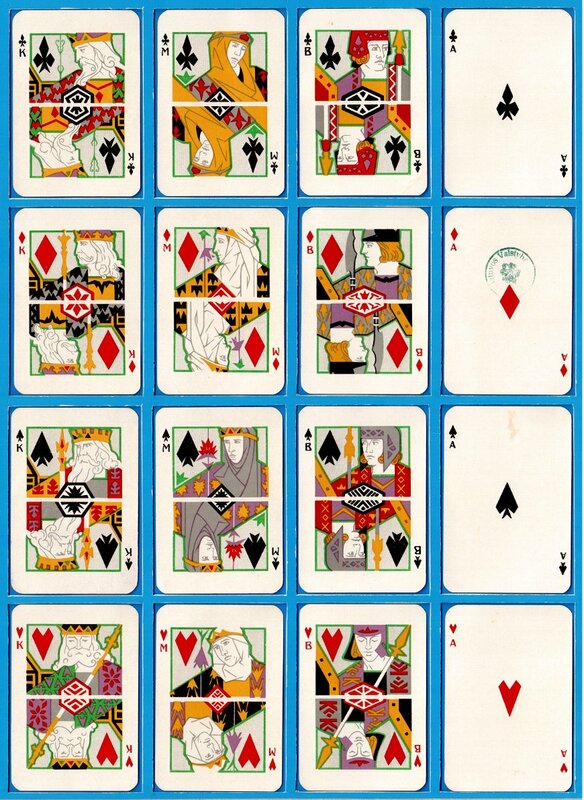 Klubams (for clubs) playing cards manufactured in Lithuania by Spindulys Printing House (Kaunas). Historical context: in early 1919 the Soviet army occupied Lithuania's capital Vilnius and installed a Soviet government. Following strong Lithuanian resistance, the Soviet Union signed a peace treaty with Lithuania in 1920. 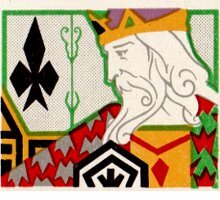 These cards were produced during this period of independence and contain motifs referring to Lithuania's heroic history and national identity. Lithuania's fragile independence ended in June 1940, when the country once more was occupied by the Soviet Union. Above: Klubams (for the clubs) playing cards manufactured in Lithuania by Spindulys Printing House (Kaunas), c.1930. 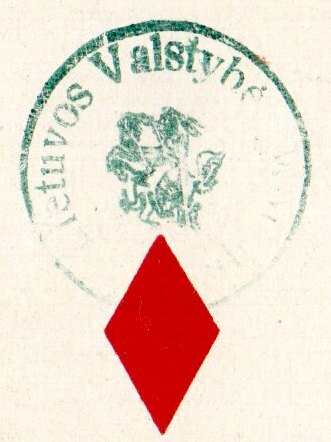 Right: tax stamp on the Ace of Diamonds which reads: "Lietuvos Valstybes Monopolio Kortos" (Lithuania State Playing-card Monopoly). All images courtesy Albinas Borisevičius.